Over the past two weeks, pupils from Year 5 have had the opportunity to develop their cycling proficiency by completely a two-week ‘Bikeability’ course. 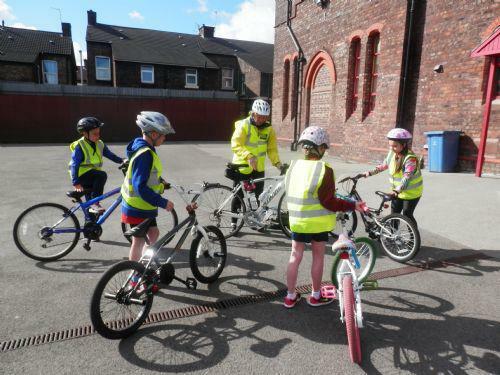 The children gained practical skills to help make travelling by bike enjoyable and, most of all, safe! Led by a team of instructors, the children took to the streets of Walton to put their skills to the test. Great fun was had by all. Well done to all who took part.